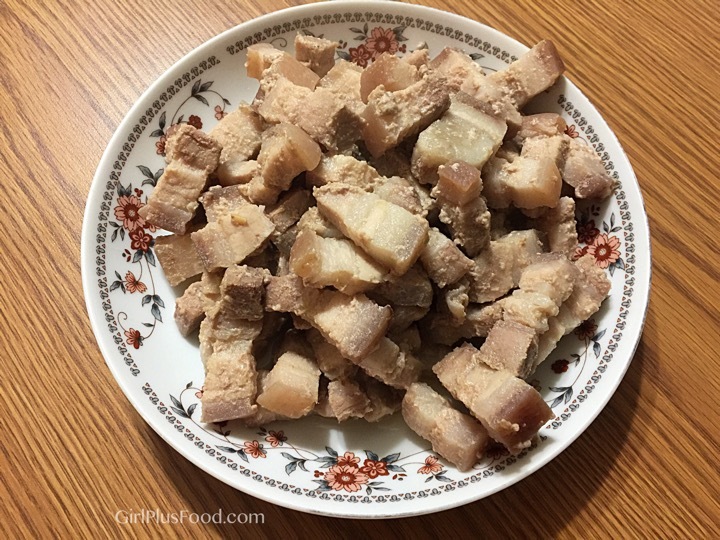 Now that I wasted that first paragraph with something totally useless, let me tell you what I did with the two pounds of pork belly I purchased from said Asian market! 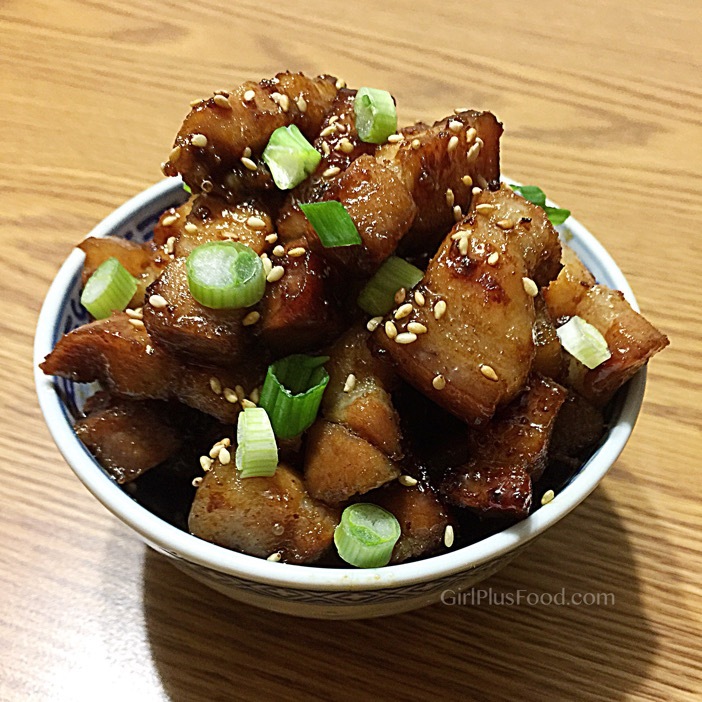 I cooked it in my crock pot until it was tender like butter… fried it so the outside was crisp… then coated the whole batch in the most beautiful soy and ginger glaze! Slow cooked for two hours with a little bit of sugar! Fried to a light golden brown and lightly crispy! Optional: 1 tbsp sriracha for heat! Add all the pork belly ingredients into slow cooker (not the glaze ingredients) and cover with lid. Cook on high for 2 hours. Turn off heat and drain the pork. Heat 2 tbsp oil in frying pan. 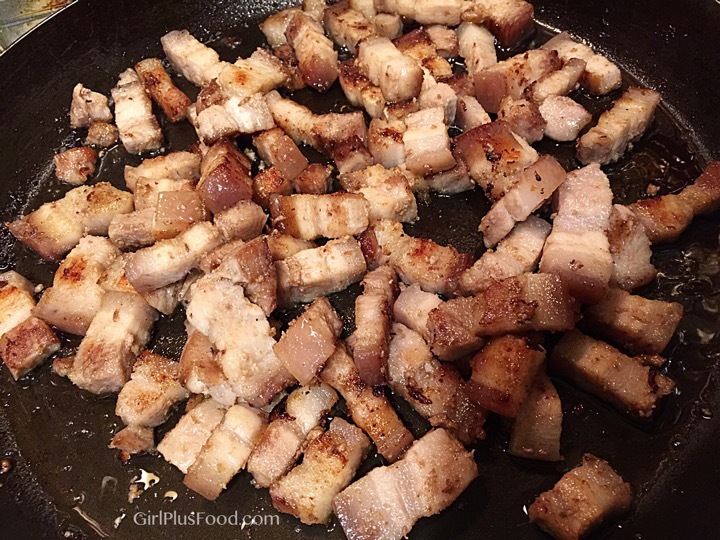 Add pork, salt and pepper, frying on high heat until pork starts to turn golden. Combine remaining glaze ingredients in small bowl. Pour over the pork and continue to cook until the pork looks dark and sticky. Remove from the heat and serve! 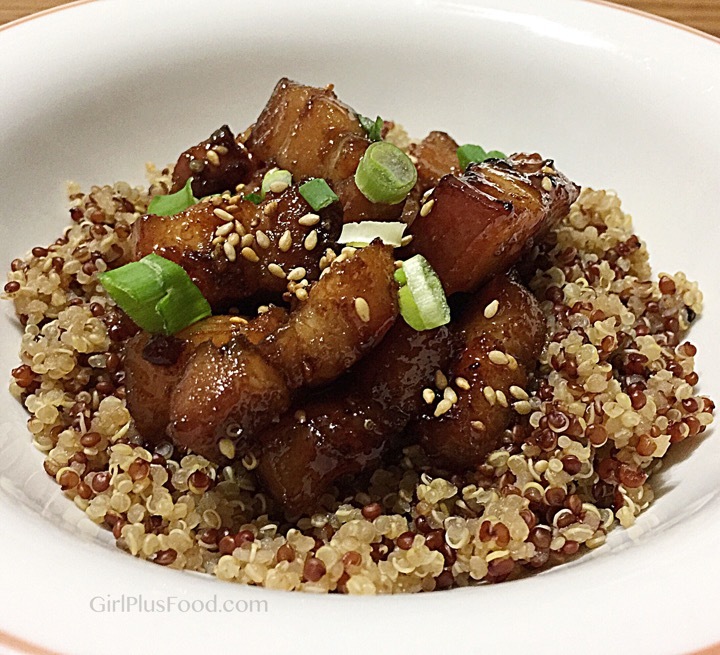 Served with red and white quinoa… sooo yummy! Previous: Microwave Matcha Green Tea and White Chocolate Chip Cookie for One!